There's no limit to what you can create! An entire rainbow of colors. Add a touch of magic to your masterpiece! Need more doh? 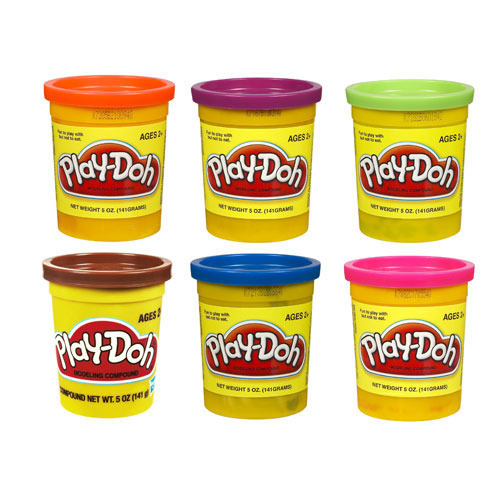 It's time to go to the can - the can of Play-Doh, that is! No matter what hilarious figures or silly shapes you create, this fun item adds a touch of magic to your masterpiece! Mold fun shapes with this cool shade, or add it to your Play-Doh compound rainbow of colors. With this awesome, 5-once single can, there's no limit to what you can create as you unleash your imagination!